This article is about the science museum in Philadelphia. For the Boston school, see Benjamin Franklin Institute of Technology. 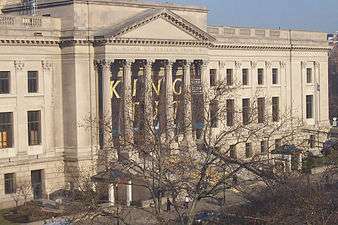 The Franklin Institute is a science museum and the center of science education and research in Philadelphia, Pennsylvania, US. It is named after the American scientist and statesman, Benjamin Franklin, and houses the Benjamin Franklin National Memorial. Founded in 1824, the Franklin Institute is one of the oldest centers of science education and development in the United States. 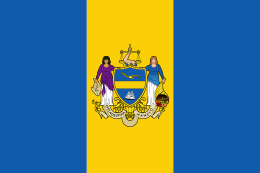 On February 5, 1824, Samuel Vaughan Merrick and William H. Keating founded the Franklin Institute of the State of Pennsylvania for the Promotion of the Mechanic Arts. Begun in 1825, the Institute was an important force in the professionalization of American science and technology through the nineteenth century, beginning with early investigations into steam engines and water power. In addition to conducting scientific inquiry it fostered research and education by running schools, publishing the influential Journal of The Franklin Institute, sponsoring exhibitions, and recognizing scientific advancement and invention with medals and awards. In the late twentieth century the Institute's research roles gave way to educating the general public through its museum. The Bartol Research Foundation of the Franklin Institute, founded in 1924 to conduct research in the physical sciences, is now part of the University of Delaware. The Franklin Institute Laboratories for Research and Development operated from the Second World War into the 1980s. Many scientists have demonstrated groundbreaking new technology at the Franklin Institute. 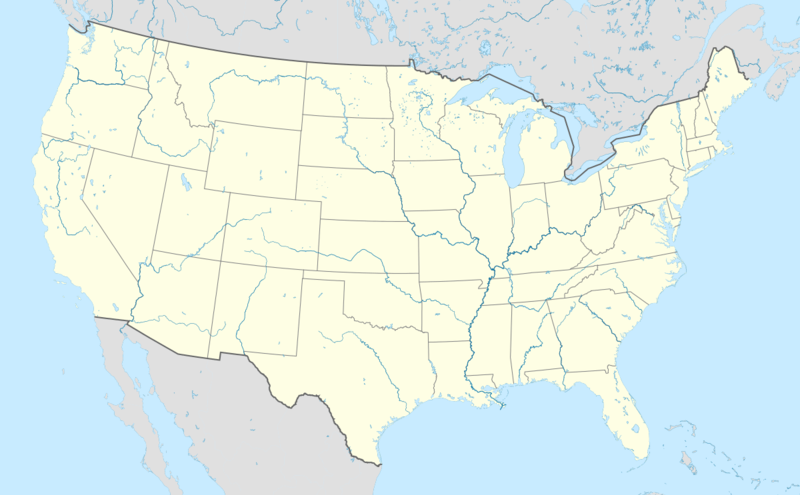 From September 2 to October 11, 1884, it hosted the International Electrical Exhibition of 1884, the first great electrical exposition in the United States. The world's first public demonstration of an all-electronic television system was later given by Philo Taylor Farnsworth on August 25, 1934. The first female member, Elizabeth Skinner, was elected to membership in 1833. The Franklin Institute was integrated in 1870, when Philadelphia teacher and activist Octavius Catto was admitted as a member. The Institute's original building at 15 South 7th Street, now the home of the Atwater Kent Museum, eventually proved too small for the Institute's research, educational programs, and library. The Institute moved into its current home on the Benjamin Franklin Parkway, near the intersection with 20th Street, in 1934. The new facility was intended from the start to educate visitors through hand-on interactions with exhibits: "Visitors to this museum would be encouraged to touch, handle, and operate the exhibits in order to learn how things work." Funds to build the new Institute and Franklin Memorial came from the Poor Richard Club, the City Board of Trust, the Benjamin Franklin Memorial, Inc., and the Franklin Institute. John T. Windrim's original design was a completely square building surrounding the Benjamin Franklin Statue, which had yet to be built. Despite the effects of the Great Depression, the Benjamin Franklin Memorial, Inc. raised $5 million between December 1929 and June 1930. Only two of the four wings envisioned by Windrim were built; these face the Parkway and share design elements with other cultural and civic structures around Logan Circle. On March 31, 1940, press agent William Castellini issued a press release stating that the world would end the next day. 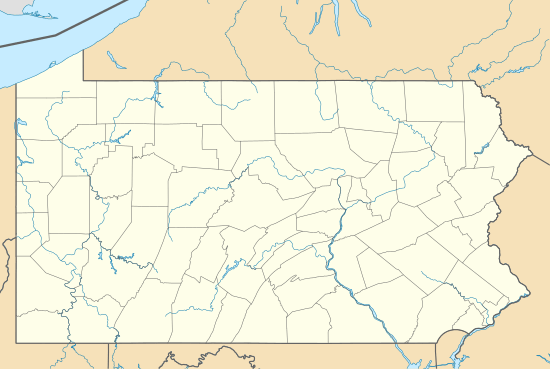 The story was picked up by KYW, which reported, "Your worst fears that the world will end are confirmed by astronomers of Franklin Institute, Philadelphia. Scientists predict that the world will end at 3 p.m. Eastern Standard Time tomorrow. This is no April Fool joke. Confirmation can be obtained from Wagner Schlesinger, director of the Fels Planetarium of this city." This caused a panic in the city which only subsided when the Franklin Institute assured people it had made no such prediction. Castellini was dismissed shortly thereafter. A 1911 Wright Brothers Model B flyer. In 2006, the Franklin Institute began fundraising activities for the Inspire Science! capital campaign, a $64.7 million campaign intended to fund the construction of a 53,000 square foot building addition, new exhibits, and upgrades and renovations to the existing Institute building and exhibits. In 2011, the Franklin Institute received a $10 million gift from Athena and Nicholas Karabots towards the Inspire Science! capital campaign. This gift is the largest gift in the Institute's history, and put the Franklin Institute within $6 million of the $64.7 million capital campaign goal. The Nicholas and Athena Karabots Pavilion will house not only a $10 million multiroom exhibit on neuroscience, but also a conference center, classroom space, and additional room for traveling exhibitions. The most recognizable part of the Franklin Institute's Science Center is the Franklin Institute Science Museum. In the spirit of inquiry and discovery embodied by Benjamin Franklin, the mission of the Franklin Institute Science Museum serves to inspire an understanding of and passion for science and technology learning. Among other exhibits, the Science Museum holds the largest collection of artifacts from the Wright brothers' workshop. Changing Earth, which opened to the public, along with Electricity, on March 27, 2010, focuses on the powerful forces of air, water, and land and their effect upon the earth, as well as how humans respond to and interact with these forces. Joel N. Bloom Observatory, remodeled in 2006, features five telescopes, including a very large 10-inch (250 mm) Zeiss Refractor and four 8-inch (200 mm) Meade Reflectors. The Franklin Institute installed Foxtrot Papa, a former British Airways Boeing 707 airliner, as a permanent exhibit in the mid-1970s. Standing above an outdoor Science Park and connected to the second-floor aviation hall by skybridges, this aircraft could easily be seen from the outside of the building and was a remarkable sight in the middle of a major city. In the 1980s, however, the aircraft was sold for scrap, much to the dismay of local aviation enthusiasts. Amazing Machine allows visitors to experience a machine-like environment featuring little-seen pieces from the Franklin Institute's priceless collection, including Maillardet's automaton, believed to have the largest cam-based memory of any automaton of the era. "Your Brain" explores the physiology and neurology of our most remarkable organ. The exhibit includes an 18-foot-tall climbing structure that simulates neural pathways sending messages, and an area to discuss questions of neuroscience ethics, in addition to 70 interactive learning experiences. 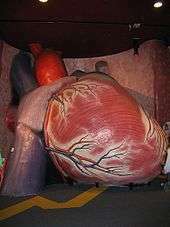 The Science Center includes many pertinent attractions that are not museum exhibits. The Budd BB-1 Pioneer flying boat, in front of the museum, was the first stainless steel airplane built by the Edward F. Budd Manufacturing Corporation and has been on display since 1935. In 1933, Samuel Simeon Fels contributed funds to build The Fels Planetarium, only the second built in the United States after Chicago's Adler Planetarium. Fully reconstructed in 2002, the Planetarium's new design includes replacement of the original 40,000-pound stainless steel dome, originally built in 1933. The new premium dome is lighter and is 60 feet (18 m) in diameter. It is the first of its kind in the United States. The planetarium is also outfitted for visitors who are hearing impaired. The Tuttleman IMAX Theater is an IMAX dome theater that is 180° encompassing and tilted at 30 degrees. The seating places the audience up in the dome which is over 70 feet (21 m) across and 4.5 stories tall. In addition, the theater has 20,000 watts of amplifier power and over 50 speakers. Early in 2008, extensive renovation of the museum's auditorium was completed. Previously a lecture hall, the space was renamed Franklin Theater, and features 3-D and hi-def Blu-ray digital projection capabilities. The Franklin Theater’s core mission is to showcase educational films during daytime hours while also including mass release feature-length films. During the King Tut Exhibit, the front steps were decorated with an image of King Tut's face. In the past, the Science Center has hosted many traveling exhibits including Storms, Titanic, Grossology, Body Worlds, Darwin, and Robots. 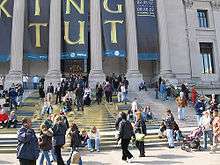 In the summer of 2007, the Franklin Institute hosted Tutankhamun and The Golden Age of The Pharaohs, in the Mandell Center of the Franklin Institute Science Museum. The exhibit began its United States Tour in Los Angeles, CA, and went to Fort Lauderdale, Florida, and Chicago, IL, before coming to Philadelphia for its final American appearance. When the exhibit left Philadelphia on September 30, 2007, it traveled to London, England. This exhibit was nearly twice the size of the original Tutankhamun exhibit of the 1970s, and contained 50 objects directly from Tut's tomb, as well as nearly 70 object from the tombs of his ancestors in The Valley of the Kings. The show also featured a CAT Scan that revealed what the Boy King may have looked like. The Franklin Institute is a member of the Association of Science and Technology Centers (ASTC) and the American Alliance of Museums (AAM). The Franklin Institute is also a member of the Science Museum Exhibit Collaborative with the Fort Worth Museum of Science & History; the Museum of Science, Boston; COSI Columbus, formerly known as the Center of Science and Industry in Columbus, Ohio; OMSI in Portland, Oregon; the Science Museum of Minnesota in Saint Paul, Minnesota; and the California Science Center, formerly the California Museum of Science & Industry, in Los Angeles, California. Throughout the school year, the Museum Programs Department at the Franklin Institute provides educational experiences for school groups that visit the museum. These educational experiences include an exclusive workshop on various topics, typically relating to the current traveling exhibitions. These workshops help to enhance each student's experience while at the museum. 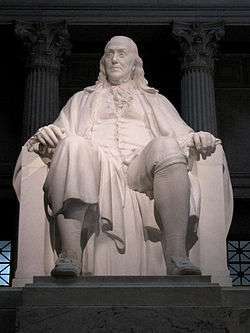 The Benjamin Franklin National Memorial features a 20-foot (6.1 m) high marble statue, sculpted by James Earle Fraser. Originally opened in 1938, the Memorial was designed by architect John Windrim and modeled after the Pantheon in Rome. The Hall is 82 feet (25 m) in length, width, and height. The domed ceiling is self-supporting and weighs 1600 tons. The floors, walls, columns, pilasters, and cornices are made of marbles imported from Portugal, Italy, and France. The United States Congress designated the Hall and statue as the official Benjamin Franklin National Memorial on October 25, 1972. The Memorial was dedicated by Vice President Nelson Rockefeller in 1976. The Benjamin Franklin National Memorial is the only privately owned National Memorial in the country, and it is maintained by the museum. On December 30, 2005, Congress authorized the Institute to receive up to $10,000,000 in matching grants for the rehabilitation of the memorial and for the development of related exhibits. In the fall of 2008, the Benjamin Franklin National Memorial was re-opened after a summer-long restoration that included multimedia enhancements. Philadelphia's most famous citizen is now featured in Benjamin Franklin Forever - an hourly 3.5-minute multimedia presentation utilizing the entire rotunda. Also noteworthy is the Franklin Institute's Frankliniana Collection, some of which is on rotating display in the Pendulum Staircase. Highlights include Franklin's 1777 Nini Medallion, the scale model of the bust from the statue in the Memorial, the figurehead of Franklin's bust from the USS Franklin, his ceremonial sword used in the court of King Louis XVI, and the odometer that Franklin used to measure the postal routes in Philadelphia. Additionally, the Institute's Electricity exhibition highlights one of Franklin's lightning rods, his electricity tube, a Franklin Electrostatic Generator, the 1751 publication of Franklin's Experiments and Observations on Electricity, and Thornton Oakley's two 1940 historical murals of Franklin and the "Kite and Key" experiment. In 1826, The Journal of The Franklin Institute was established to publish US Patent information and to document scientific and technological achievements throughout the nation. It is the second oldest continuously published scientific journal in the country, and is now primarily devoted to applied mathematics. Since 1824, the Franklin Institute has maintained the longest continuously awarded science and technology awards program in the United States, and one of the oldest in the world. The first issue of the Journal of The Franklin Institute, dated January 1826, makes the first written reference to these awards. Before 1998 several medals were awarded by the Franklin Institute, such as (year indicates when the award was first presented): the Elliott Cresson Medal (1875), the Edward Longstreth Medal (1890), the Howard N. Potts Medal (1911), the Franklin Medal (1915), the George R. Henderson Medal (1924), the Louis E. Levy Medal (1924), the John Price Wetherill Medal (1926), The Frank P. Brown Medal (first awarded per FI site is 1941), Stuart Ballantine Medal (1947), and the Albert A. Michelson Medal (1968). Past winners include Henry Ford, Frank Lloyd Wright, Marie Curie, and Thomas Edison. In 1998 all of the endowed medals were reorganized as the Benjamin Franklin Medals. Multiple medals are given every year, for different fields of science and engineering. The fields awarded today are "Chemistry", "Computer and Cognitive Science", "Earth and Environmental Science", "Electrical Engineering", "Life Science", "Mechanical Engineering" and "Physics". In the past also the fields "Earth Science", "Engineering" and "Materials Science" were rewarded. Additionally since 1990, the Bower Award and Prize for Achievement in Science (shortly the Bower Science Award) and the Bower Award for Business Leadership have been awarded annually. They are funded by a $7.5 million bequest in 1988 from Henry Bower, who was a chemical manufacturer in Philadelphia. The Bower Science Award contains $250,000 of cash, one of the largest amounts for a science award in the U.S. The Institute's Committee on Science and the Arts determines the winners of these awards. Recipients and related information can be found in the laureates database. The Franklin Institute also undertakes research in informal science education. Areas of special strength are educational technology, school partnerships, and youth leadership. In addition, the Center has built a substantial portfolio of unique online resources of the history of science, including online exhibits on Ben Franklin and the Heart, as well as resources on the Wright Aeronautical Engineering Collection. 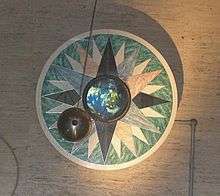 The Foucault pendulum staircase is the centerpiece of the museum. Opening its doors in September 2006, The Science Leadership Academy is a partnership between the Franklin Institute and the School District of Philadelphia to create a learning environment based on The Institute's philosophy that inquiry is the basis of learning. The Science Leadership Academy provides a rigorous, college-preparatory curriculum with a focus on science, technology, mathematics and entrepreneurship. Students at the SLA learn in a project-based environment where the core values of inquiry, research, collaboration, presentation and reflection are emphasized in all classes. SLA was named an Apple Distinguished School in 2009 for its innovative 1:1 laptop program; a title which is reserved for schools that have implemented a 21st-century vision of education using Apple technology. The Distinguished School program was begun in 2008, and the Science Leadership Academy is one of only 33 schools in the nation, and the second in Pennsylvania, to receive the award. The Franklin Institute is proud to offer summer institutes and school year mini-courses for K-8 teachers, in collaboration with the School District of Philadelphia and Curriculum & Instruction Office. These programs embody the Center for Innovation's commitment to inquiry science by modeling effective science teaching and learning strategies. Participants raise questions, investigate phenomena, interpret findings, consider real world connections, and reflect on the process. Partnerships for Achieving Careers in Technology and Science, or PACTS, is a year-round program of science enrichment, career development, and leadership opportunities for diverse middle- and high-school students in the Philadelphia Region. PACTS students use hands-on science workshops, field based research, field trips, and laboratory experiments to learn how science affects their everyday lives. PACTS is a youth leadership experience designed to involve students as an active part of the daily life of the Franklin Institute. Students who continue the program through high-school emerge with the skills and confidence to be successful college students and productive adults. Girls at the Center is a partnership between the Franklin Institute and the Girl Scouts of the USA provided girls and their families a chance to learn about science together. Over 100 sites participated in the program, with over seventy of the sites still active today. Girls at the Center provided activities for the girls to do with their families at home, as well as projects to be completed on site, all culminating in a year-end party. The Franklin Institute is a member of the Nanoscale Informal Science Education Network (NISE Net). ↑ Morris, Stephanie A. "The Dynamics of Change: The Franklin Institute and the Making of Industrial America." 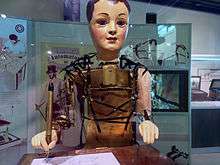 The Franklin Institute and the Making of Industrial America. Guide to the Microfiche Collection. Bethesda, MD: CIS Academic Editions, 1987, pp. 1-12. ↑ Rowland-Perry, Sherry L. "The Bartol Research Institute: A Brief History." http://www.bartol.udel.edu/wwwroot/history.html Retrieved Jan 30, 2015. ↑ "Top 100 April Fool's Day Hoaxes Of All Time". Museumofhoaxes.com. Retrieved 2013-08-19. 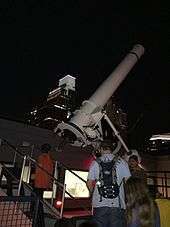 ↑ "The Franklin Institute - Inspire Science! - History". Fi.edu. Retrieved 2013-08-19. ↑ Dobrin, Peter (2011-10-02). "A $10 million gift for Franklin Institute, from a onetime 'bad kid'". Philly.com. Retrieved 2013-08-19. ↑ "The Franklin Institute – Exhibit – Electricity". .fi.edu. Retrieved 2013-08-19. ↑ "The Franklin Institute – Exhibit – Changing Earth". .fi.edu. Retrieved 2013-08-19. ↑ Mauger, Edward Arthur: Philadelphia Then and Now, page 89. Thunder Bay Press, 2002. ISBN 1-57145-880-8. ↑ Gayle, Damien (27 December 2012). "The incredible 200-year-old automaton: The jewel-studded clockwork caterpillar built to show off 19th Century high technology". Daily Mail. Retrieved 2013-09-29. ↑ "Association of Science - Technology Centers". Astc.org. 2013-01-03. Retrieved 2013-08-19. ↑ "The American Alliance of Museums". Aam-us.org. Retrieved 2013-08-19. ↑ The National Parks: Index 2001–2003. Washington: U.S. Department of the Interior. ↑ "Franklin Institute Awards". WikiMir. Retrieved January 18, 2011. ↑ "Franklin Laureate Database - Edward Longstreth Medal Laureates". Franklin Institute. Retrieved November 13, 2011. ↑ Awards By The Institute. Yearbook. Franklin Institute. 1925. p. 73. ↑ "Franklin Laureate Database - Louis E. Levy Medal Laureates". Franklin Institute. Retrieved January 22, 2011. ↑ Year Book - Franklin Institute. Philadelphia, Pa.: Franklin Institute. 1921. p. 57. Retrieved 4 June 2015. ↑ "Franklin Laureate Database - Albert A. Michelson Medal Laureates". Franklin Institute. Retrieved June 14, 2011. 1 2 3 4 "About the Awards: History and Facts". Franklin Institute. Retrieved January 18, 2011. 1 2 "Franklin Laureate Database". Franklin Institute. Retrieved January 20, 2011. Note: Parameter subject is the above described rewarded field. 1 2 3 "Bower Award Laureates". Franklin Institute. Retrieved January 20, 2011. ↑ "2013 Laureates". Franklin Institute. Retrieved April 6, 2013. ↑ "2016 Laureates". Franklin Institute. Retrieved April 29, 2016. ↑ "Benjamin Franklin Medal in Chemistry". Franklin Institute. 2013. Retrieved April 29, 2013. ↑ "Benjamin Franklin Medal in Computer and Cognitive Science". Franklin Institute. 2012. Retrieved April 6, 2013. ↑ "Benjamin Franklin Medal in Computer and Cognitive Science". Franklin Institute. 2013. Retrieved April 29, 2013. ↑ "Benjamin Franklin Medal in Earth and Environmental Science". Franklin Institute. 2013. Retrieved April 29, 2013. ↑ "Benjamin Franklin Medal in Electrical Engineering". Franklin Institute. 2012. Retrieved April 6, 2013. ↑ "Benjamin Franklin Medal in Life Science". Franklin Institute. 2012. Retrieved April 6, 2013. ↑ "Benjamin Franklin Medal in Life Science". Franklin Institute. 2013. Retrieved April 29, 2013. ↑ "Benjamin Franklin Medal in Mechanical Engineering". Franklin Institute. 2012. Retrieved April 6, 2013. ↑ "Benjamin Franklin Medal in Mechanical Engineering". Franklin Institute. 2013. Retrieved April 29, 2013. ↑ "Benjamin Franklin Medal in Physics". Franklin Institute. 2012. Retrieved April 7, 2013. ↑ "Benjamin Franklin Medal in Physics". Franklin Institute. 2013. Retrieved April 29, 2013. ↑ "Bower Award and Prize for Achievement in Science". Franklin Institute. 2012. Retrieved April 7, 2013. ↑ "Bower Award and Prize for Achievement in Science". Franklin Institute. 2013. Retrieved April 29, 2013. ↑ "Bower Award for Business Leadership". Franklin Institute. 2012. Retrieved April 7, 2013. ↑ "Bower Award for Business Leadership". Franklin Institute. 2013. Retrieved April 29, 2013. 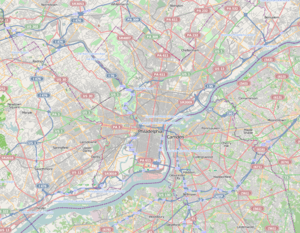 Wikimedia Commons has media related to Franklin Institute.